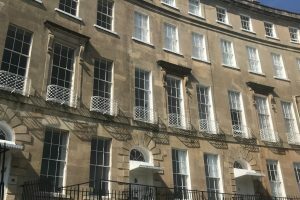 As period property decorating specialists, we are having great pleasure in restoring this truly unique 6 bedrooms Georgian townhouse in Bath. The result before undercoating a beautiful distressed paint finish.Many of the rooms have not been painted for 50 years or more. Many of the rooms have not been painted for 50 years or more. 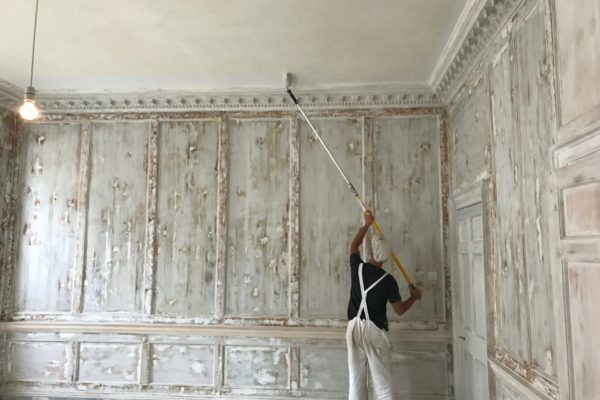 We’re Commissioned to use Edward Bulmer breathable paints, these are eco-friendly paints.Owners of heritage and listed buildings understand the importance of breathable paints on old substrates but this is just as important for modern buildings. Edward Bulmer produces exquisite natural paints which are healthy and help you to protect your family or workforce from chemically induced ailments.